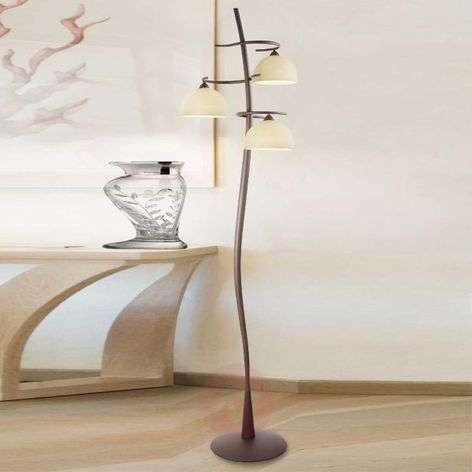 The high-quality Christian floor lamp is both contemporary and classic. The curved frame comes in a lovely brown colour; whilst the cream-coloured glass lampshades help to create a cosy atmosphere with the warm white lighting. 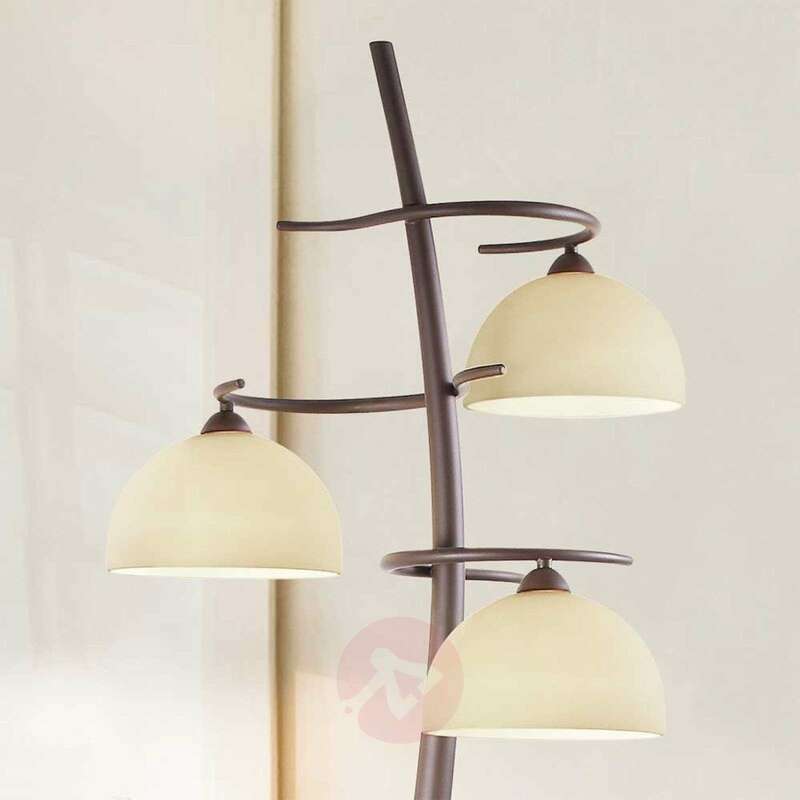 Christian can be combined with many styles of furnishing.